You depend on your generator to keep your safe and comfortable during a power outage, so what do you do when your generator is no longer reliable? It is important to be aware of signs that suggest it’s time for a new generator, so you can be sure your home and family will be protected during the next big storm. Of course, only a licensed electrician can assess the condition of your current generator to make an informed decision about what steps should be taken next. Should he or she decide that your generator is in not-so-great shape, investing in a new system might be your best option. 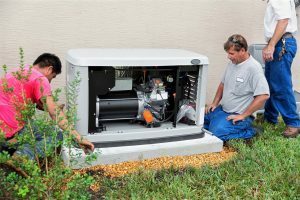 Below, we have outlined some of the most common indicators that your generator needs to be replaced. Keep reading to learn more. Water heaters are built to cope with a lot of stress. Most of them don’t even fully turn off, instead staying on to maintain a standing supply of hot water at all times. However, even the sturdiest water heater isn’t invincible. There are going to be times when your system malfunctions, and it’s important that you are able to quickly identify it. One of the first signs that a water heater is having an issue of some kind is a noticeable drop in output. If your water heater is struggling to provide enough hot water, have a look at some of the possible reasons why. Of all the many problems that can afflict various parts of your home, electrical problems are perhaps the most dangerous. A plumbing problem can inflict a lot of water damage, but an electrical problem can cause electrocutions and house fires. It’s vital that you have an electrician check the wiring in your home at least once every few years. Otherwise, you’re substantially increasing the likelihood that a problem will occur. Even with regular maintenance appointments, though, there’s still a chance that an electrical problem can occur in your home. You should be familiar with some of the telltale signs of an electrical problem, so that you can contact an electrician as soon as possible. Is it Really Worth it to Install a Tankless Water Heater? So your water heater has finally died on you, and you’re looking for a new one so you don’t have to take ice baths anymore. Tankless water heaters have been getting a lot of attention in the industry lately, and you may have even had a professional or two recommend it to you in the past. Tankless water heaters have plenty to recommend them, but like practically all systems they are not a “one-size-fits-all” water heating solution. It’s important that you know at least a little bit about the differences between tankless water heaters and other water heater types, before you settle on a type that you feel would suit your needs best. 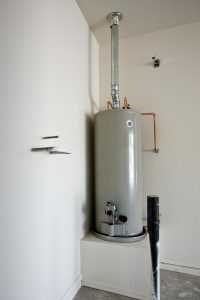 Posted in Water Heaters | Comments Off on Is it Really Worth it to Install a Tankless Water Heater? 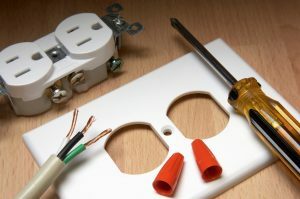 Circuit breakers serve an important purpose in the home electrical system. They’re designed to improve the safety of the system by preventing it from overloading. When the current flowing through the system is too much, the breaker trips to break the circuit. Typically, all that’s needed to restore proper function is for the circuit breaker to be reset. If the circuit breaker keeps tripping, though, it’s a sign that you have a more serious problem. We’re moving deeper into winter, which means that you should schedule maintenance for your heat pump if you haven’t already. Even if you have already scheduled maintenance this year, you should have a professional check your heat pump before the weather gets too cold. Read on to find out why this is. You’re going to be relying on your heat pump more and more often over the coming weeks and months, which means more wear and tear on the system. That equals more chances for problems to occur. If you want to keep your heat pump in good condition, you need to catch any and all problems as early as possible. Let’s take a look at some common heat pump problems, and what you should do about them. Water heaters are sturdy systems, but they aren’t invincible. If you want to get the most out of your water heater system, you need to make sure that it gets maintenance on a regular basis. Otherwise, you could be indirectly shortening the lifespan of your water heater. Read on to find out more about water heater maintenance, and how it can improve the lifespan of your system. Water heaters last many years, provided they are properly cared for. However, no water heater can last forever. Eventually, your system will wear down to the point that you need to install a new one. You don’t want to lose your hot water supply without warning, do you? 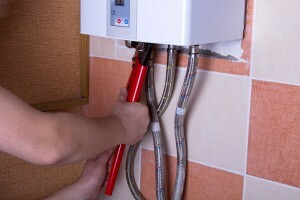 Read on to find out more about when you need to need to replace your water heater.